We’re always so glad to get to know our customers better, and learn a little about what’s important to you! 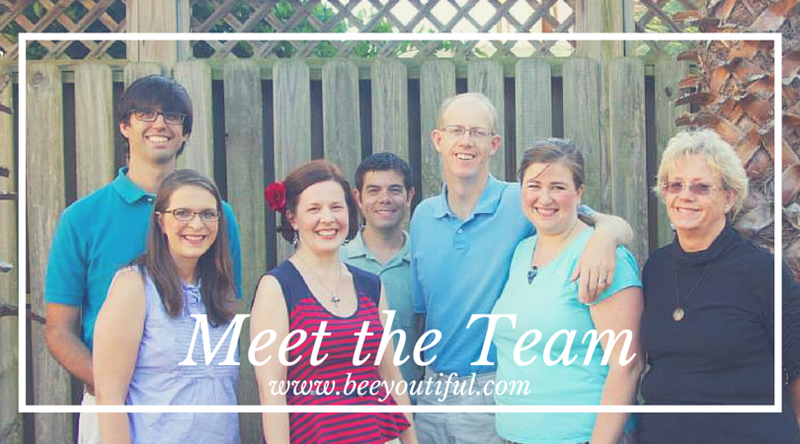 We’d like to show you a bit of our own lives, too, and help you see what goes on behind the scenes at Beeyoutiful. Today you’ll get a glimpse into Steph Tallent’s life. Stephanie, what are you in charge of at Beeyoutiful? As one of the company’s owners, I dabble in a lot of things! I oversee customer service (which involves very little daily work, because of my awesome team members who take care of almost all of it by themselves), new product development, marketing, sourcing, writing, and creative problem solving. One of my favorite parts of working with Beeyoutiful is that every day brings along something different… but every day involves working through my email and current to-do’s with ongoing projects, usually hammering away at various writing projects. Sometimes I spend hours buried in piles of books researching some obscure thing, other days I’m “playing” with makeup, and sometimes you’ll find me in the kitchen experimenting with a new product mixture or blend of herbs. Today was all about essential oils! What can customers count on you for? I take feedback from our Beeyoutiful friends about what they want and like, and what they don’t like, very seriously. They can always count on us to personally test and use everything we carry with ourselves and our children (as it is applicable). I hope customers know they can always count on us to seek out and offer products that will be beneficial to them and their families. They can also count on us to share helpful and useful information about how to live a healthier lifestyle, and safe ways to use various natural tools as we learn along the way. What do you do to support your own health? 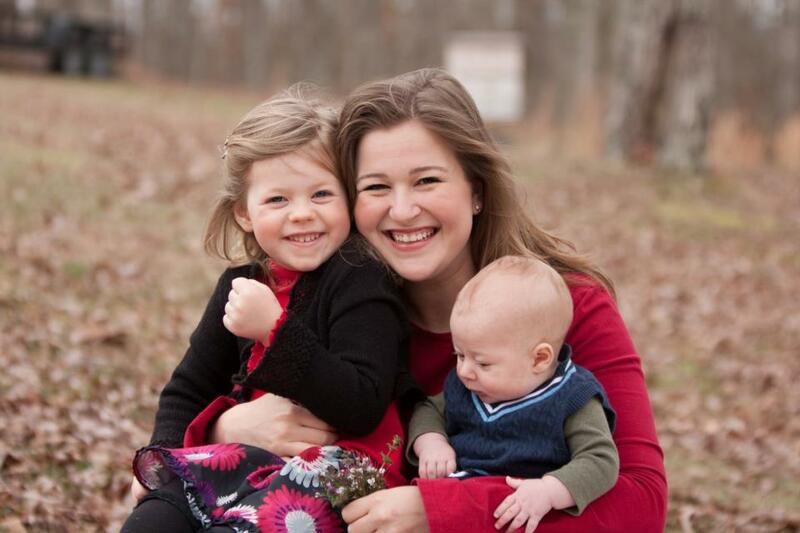 ​My own health journey has been difficult, taking several twists and turns over the years, and we went through multiple miscarriages before I was diagnosed with an autoimmune disease. My experience is part of why I am so passionate about helping and encouraging others in seeking good health! Our family focuses on carefully-sourced whole foods in our diet, and we take digestion-supporting supplements to help get the most nutrients possible out of those whole foods. I’m currently on a fairly restricted diet and supplement protocol that is successfully managing my autoimmune issues, as well as doing a fairly intensive adrenal protocol. One of the areas I’m really focusing on right now is reducing stress and getting enough rest. It’s easier for me to just focus on diet, and skip the powerful benefits of adequate rest and de-stressing along the way. When you’re not working on Beeyoutiful projects, what’s one way that you enjoy spending your time? Crocheting with a cup of hot tea and a good British mystery movie are my favorite down-time activities! 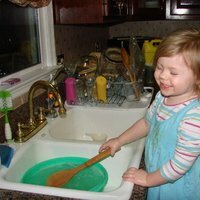 But usually my non-work time is filled with homeschooling, trying to clean and manage the house, and occasionally putting my ‘black thumb’ to the test by trying to keep an herb and veggie garden going. Leave a message for Steph in the comments below, and follow her on Facebook here and here, and on her blog. Meet the rest of the team here! 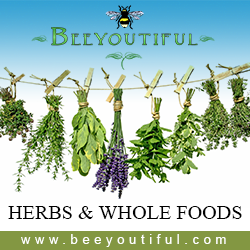 We are diving headlong into Fall and Winter here at Beeyoutiful. This is definitely the busiest season of the year for us as a business. On a personal level, it is also by far the busiest season of my life to date! Our third-born arrived in June of this year. We were so thankful for his safe arrival after weeks of bed-rest. I delivered him at The Farm in Summertown TN, made famous by Ina Mae Gaskin who was recently inducted into the Women’s Hall of Fame. She and the other midwives of The Farm have preserved an incredible birthing culture founded in knowledge gathered from around the globe that is all but lost in our modern world. We were so thankful to be the recipients of their loving, wise, experienced, and professional care before, during, and after Mark’s birth. 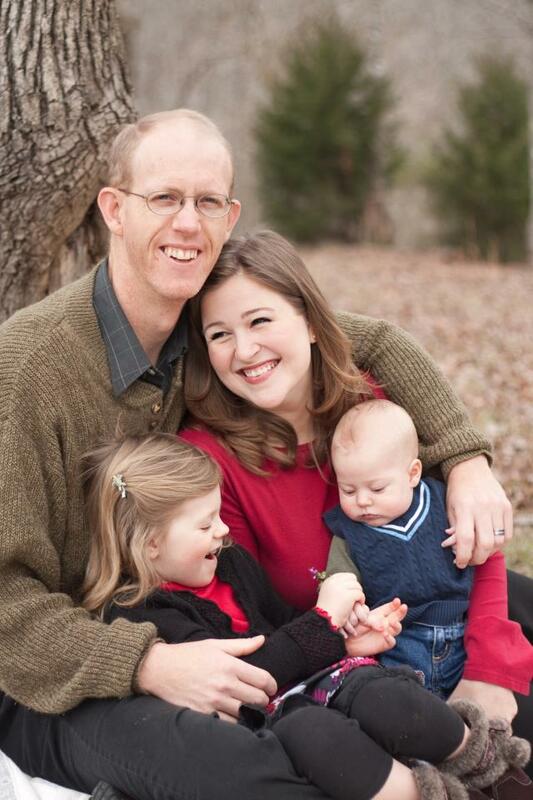 Mark is the easiest-going of our babies thus far for which I am beyond thankful. We have dubbed the mellow fellow Sir Squish, and he tranquilly presides over his siblings from his adored place of honor in the family as the current baby. At six years old, Noelle is in first grade of homeschool this year, which means we get to juggle formal school lessons into our work days. She is learning to read this year and it makes me smile to see her randomly sounding out words here and there. I can’t wait until she is able to start reading some of my favorite books from childhood! Our big Caleb (or Cman as we like to call him) has just turned 2 years old and is a gigantic hunk of a toddler. He’s all about trucks and trains and anything else with wheels that crosses his path. He seems to believe any and all boundaries are meant to be moved, shoved, climbed over, dismantled, or crawled under. He keeps the house in a regular state of disaster and you can frequently find us laughing in bemused exasperation over his latest antics. We are so grateful for these funny, quirky small people who keep us on our toes! I was actually able to get Steve to write something for the catalog this time! 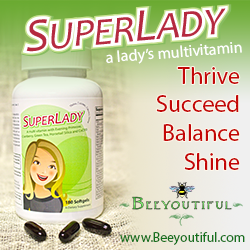 We sell more multivitamins than any other product at Beeyoutiful and as a result get a lot of questions about them. Steve took the time to address in his article some of the most common questions we get. If you are a skeptic, wondering if multivitamins are worth anybody’s while, or even if you use a multi vitamin from another company, his article is informative and helpful in understanding what role a multivitamin should play and how to figure out if one is of good value and benefit to you. 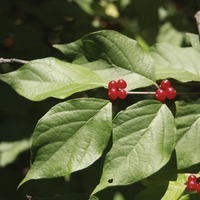 Our good friend, Nancy Webster, wrote a great article about liver health. She addresses the role the liver plays in most major functions in the body and what we can do to help our livers heal, cleanse, and maintain good health despite the toxic world in which we live. If you have followed Beeyoutiful publications for very long, you know that we are huge fans of bone broth, particularly gelatin-rich broths. Bone broth has bio-available nutrients, high calcium and magnesium levels, and all around deliciousness that adds to meals. This makes it a favorite in our house! Plus, it makes the frugal side of me happy knowing that parts of the animal that would normally go to waste can be put to good use. I recently learned yet another benefit to gelatin-rich broth. It is excellent for liver health! Discovering this liver beneficial fact, in combination with what I learned from Nancy’s article, gave me extra motivation to track down a good source of gelatin-rich components to use in our regular bone broths. I ended up buying a 40 lb. box of frozen, all-natural, free-range chicken feet—feet with the legs, toes and fingernails still attached! Truth be told, I find a lot of things disgusting. Despite having grown up with family members as deer hunters, even helping with the processing of deer and other animals, it still gets to me. But I am here to tell you that few things are as gross as a pile of chicken feet. It was with much internal angst and some external gagging that I forced myself to hack off a chunk of those feet and into the broth pot. After three days of slowly simmering I cringed, pouring the beyond disgusting-looking liquid with golden fat floating on the top through a fine mesh strainer to catch all the little bits of feet bone and chunks of skin. “Never again!” I said to myself as I poured the filtered broth into the quart-sized repurposed spaghetti sauce jars designated for broth in our house. “I’ll give the rest of those feet away. I am NEVER doing this again. So, so, SO disgusting!” The broth cooled and was slid into the refrigerator. The next day I pulled some out to start supper and was incredulous to realize that the broth had so much gelatin in it that it was solid. Like a rubber bouncy ball kind of solid and jiggly. I had to scoop and scrape it out with a spoon it was so rich and thick. By far the most gelatin rich broth we’ve ever made. Gross or not, chicken feet are now officially a cheap way for our family to get gelatin into our diet. I’m determined to get past my gagging, city-girl sensitivities! Mind over matter, right? Also in this edition, we have an article about the essential, fat-soluble combination of vitamins A, D, and K. The importance of this trilogy of nutrients cannot be overstated. 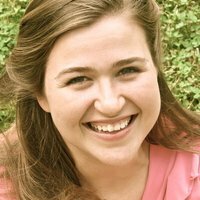 My dear friend, Toni Gatlin, writes about how to obtain these nutrients. Most Americans remain chronically depleted in these specific nutrients and many of us, in order to begin healing and restoring good health, need to supplement with intensive amounts of them, more than we reasonably get with even a good diet. Toni covers the dietary sources of these nutrients and the options available in supplement form as well. It’s well worth the time to read! As those of you who receive our e-mail newsletters already know, our Beeyoutiful building caught fire a few weeks before this catalog was published. We lost some inventory but are so very grateful for most of the building having been spared. There was water and smoke damage and we have been doing cleanup, repairs, inventory rebuilding and everything else that is entailed in recovering from such an event. Although in the grand scheme of things this incident was minor (and could have so very easily been a horrible disaster! ), and we are so blessed to be able to recover from it as rapidly as we have, it still served as catalyst for me appreciating what we are able to do more than I usually do. Beeyoutiful is a business that has grown to mean much more than just a business to me and our family and many of our staff. It is how we are able to be connected with so many wonderful people across the nation and around the world. 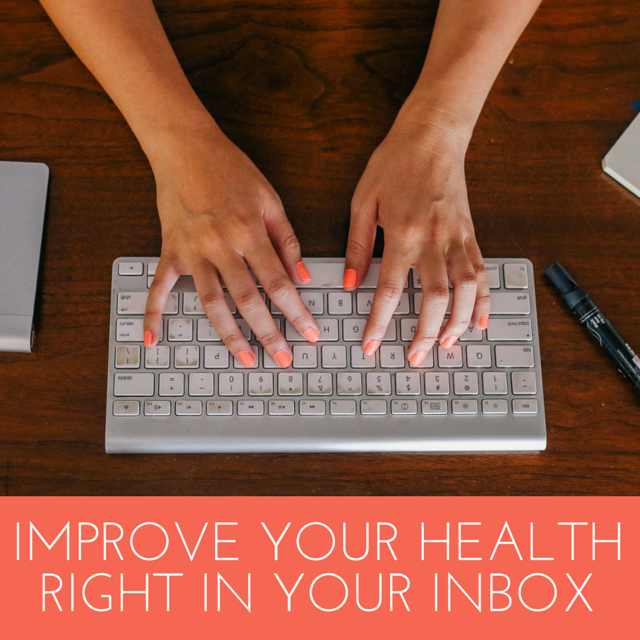 It is the tool which allows us to continue to learn new information, find new resources, and get new insight into various aspects of how to support good health. It has allowed us to partner hand in hand with many of you who are on healing journeys for yourselves or loved ones. Thank you for allowing us to work with you. Thank you for allowing us to have this business and do what we do. We are so very grateful for you and to you! We hope you enjoy this catazine! We absolutely love feedback and constructive criticism. If it’s feasible for us to make changes for the better, we want to hear how we can! And it absolutely makes our day to hear if we are doing something well. Please let us know what you would like to see more or less of! May you and your families have a wonderful Fall and Winter. Enjoy the holidays that punctuate this season. We have included some fun, yummy recipes that are not only delicious but also healthy and very appropriate to bring to family gatherings. We’re also passing along several helpful essential oil recipes just incase you have need of them for any illnesses this fall and winter. It’s been a good while since I’ve had the privilege of sitting down to write to you. After our son Caleb was born a little more than a year ago, I took time off from Beeyoutiful and enjoyed a wonderful sabbatical. The break allowed me to relish Caleb’s baby days without the distraction and stress of work. But—I missed all the people like you who make Beeyoutiful the amazing business it is. So last month, Steve and I did a little switcheroo. Steve now works part time from home while doing full time childcare-and-household management while I work full time at the Beeyoutiful office. One of the great things we’ve experienced in working together for so long is that we’ve learned to rely on each other’s strengths. His steady leadership, financial stewardship, desire to help people, and business savvy are the perfect balance to my creative bursts of new product and marketing inspirations and my delight in the relationships we have with you. Steve and I may well swap things up again in a few months, but for now, I’m incredibly happy to be welcoming you to another edition of our Beeyoutiful Living Catazine. A monumental undertaking that has been going on behind the scenes here for the past year or so was inspired by one of our all-time favorite product formulators. This incredible lady is the genius behind some of Beeyoutiful’s best-loved products such as Miracle, Winter Breeze, and Ow! Ease. A couple of years ago, she approached us with the idea of launching a full-disclosure, all-natural, safe line of cosmetics. In my (at the time) ignorance, I flatly turned her down. We do nutritional supplements and healing-focused skin care, I thought. Why on earth would I want to enter the ridiculously competitive world of makeup? She persisted, though, and peaked my curiosity regarding the lack of safety and helpful regulation, along with the moral implications of ingredients most makeup companies use. Even though I was still determined that makeup would never be part of the Beeyoutiful product line, I decided to spend a few days digging into the concerns my friend had raised. I was stunned to discover how naïve I had been. I’ve been a consumer of makeup since my teens, and my faith in the acceptability of most cosmetics was turned on its ear, shaken upside down, and knocked to rubble. Disturbed and humbled, but seriously motivated, I re-directed my determination and began to evaluate whether or not launching a makeup line would be feasible. 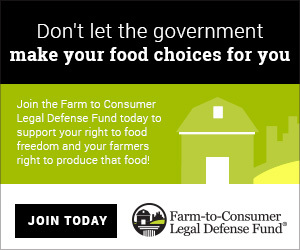 I am enormously passionate about individuals taking responsibility and becoming informed consumers. That’s why at Beeyoutiful, we believe it is the consumer’s right to know exactly what she is buying, even if a particular ingredient comprises only half a percent of the product. And now my passion for such education has officially spilled over into the world of cosmetics. Much to my dismay, I’ve discovered that full disclosure in the makeup industry is even more foreign than in the world of nutritional supplements. You may be as disturbed as I was to know that most skincare and cosmetic companies not only do not support full-disclosure of product ingredients, they actually have policies against disclosure. But how do they get away with this? The bottom line reason is that there is no solid requirement that they “come clean” about what’s in the products they sell. Cosmetics marketed in the United States, whether manufactured here or imported from other countries, must comply with the labeling requirements of the Federal Food, Drug, and Cosmetic Act (FDCA), the Fair Packaging and Labeling Act (FPLA), and the associated regulations published by the U.S. Food and Drug Administration (FDA). While that may seem like a lot of supervision and accountability, a less comforting picture emerges upon closer examination. Under the FPLA, if a product is sold at retail, the ingredients must appear conspicuously on the product label, and they must be listed in descending order of quantity used. But the good news ends there because an “exceptions clause” offers a wide-as-the-horizon loophole. The worst provision allows for non-disclosure of “trade secret” ingredients. If the FDA approves a company’s request for trade secret exemption, then that proprietary ingredient does not have to be declared on the label. In lieu of naming it, the company may simply note that the product contains “other ingredients”—at the end of the list, no matter what quantity is in the product. I used to be under the mistaken impression that as long as undeclared ingredients made up less than a certain percentage of the product, it did not have to be disclosed. For example, it had to be less than 3 percent of the product. Under this trade secret exemption, however, that is not true. No longer can I comfort myself upon reading the phrase “and other ingredients” with the thought, Oh well, at least it’s only a little bit of the total product. Furthermore, the FDA does not have authority to approve the labeling of cosmetic products before they are placed on the market. It’s up to the manufacturer and/or distributor to ensure their products are labeled appropriately. This means that, unless someone blows the whistle for mis-labeling in a big enough way to attract the FDA’s attention, many companies will go for years without their products being tested and reviewed. So the actual accountability offered by the FDA for cosmetics is loose and randomly enforced, at best. The answer will tell you whether or not you can trust the company’s product labels. If the answer is balking, obfuscating, excuse-making (i.e., explaining the “moral obligation” to protect their proprietary ingredients), or even a simple “no,” then you’ll likely do well to find a new cosmetics supplier. Seek out full-disclosure companies by asking before you buy. You may not like everything they disclose, but at least you can choose whether or not to put those ingredients on your skin. 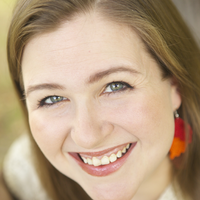 By now, you can probably guess Beeyoutiful’s practice regarding full disclosure. It is my absolute joy and pleasure to introduce makeup that is made from nothing but minerals—minerals that are tested to avoid cross contamination with heavy metals and certified to be heavy metal free. We include no fillers, not even “natural” ones. You’ll find each and every ingredient listed on each and every one of our labels, no matter how small the quantity. 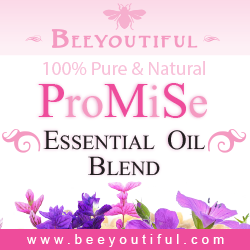 Our new cosmetics are available on the main Beeyoutiful website, so you can have the convenience of shopping for them along with the supplements and other items you usually shop for there. Please check out our makeup at www.beeyoutiful.com/beeyoutifulskin. We also have a makeup-specific site at www.beeyoutifulskin.com. And if you don’t have internet access, just call and ask for a Beeyoutiful Skin catalog. We’ll be happy to mail it to you. It’s now dark outside, and my sweet family is waiting for me. Time to pack up the laptop and head home. I’m hoping to share a cup of hot cocoa with them around a warm fire tonight and maybe read a book with some Holiday Cheer. Thank you for being part of Beeyoutiful. We are grateful that you make it possible for us to do what we do. 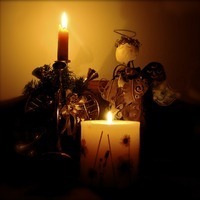 May you experience the blessings of love, warmth, peace, and joy this Christmas. Makeup is a rite of passage of sorts for many women. We grew up watching our moms apply it with a sense of wonder, amazed by the before and after transformation. It never seemed to quite work out that well for us when we attempted the same things though. With bright red cheeks and lipstick smeared mouths we wanted nothing more than to be beautiful. Just like our mamas. Somewhere along the way, makeup would become more of a necessity than something to be desired as teenage skin with all it’s glorious blemishes made itself known. For some of us makeup would still feel pretty awkward to use. All the options, all the prices, all the brands, all competing for the real estate that is our face. Each one claiming to achieve better results than the next. As a young women, I struggled with self esteem and had a difficult time accepting that I could be pretty. Makeup became my magic bullet for transforming what I felt was an ugly duckling into a more socially acceptable version of myself. I became a sales person for one of the biggest makeup companies in the nation. I believed that makeup was necessary for me to be attractive, and in order for me to look good it meant there needed to be parts of me hidden. Thick layers of makeup was my answer. When I put on my full war paint, chances were good you might not recognize me as the same person I was before the layers started going on. A good application for me meant only vestiges left of my natural self. Years flew by and I found myself married. One of the biggest adventures of our lives began shortly after we got married and we started a natural health supplement company. Red flags began to pop up for me as I became more educated and aware of the implications of what I put on my skin. Plus my husband seemed pretty convinced I was a beautiful woman and he disliked the essence of who I was vanishing behind piles of makeup. His validation gave me the confidence to be bold about celebrating my natural beauty by wearing less, but more carefully chosen, makeup. Also as a mom to two kids with exceedingly kissable, chubby cheeks I was worried about rubbing potentially toxic substances from my face to theirs, so it made sense that less was more. As our reputation began to grow, different women began coming to me asking for a makeup recommendation. The truth was, I hadn’t found any at all I could, with a clear conscience, recommend. One of the biggest problems we ran into was the fact that every makeup company I researched,in hopes of being able to give a wholehearted endorsement, turned out not to be full disclosure in their labeling policies. Due to the way that labeling laws work there can be all sorts of ingredients used in cosmetics that are absolutely not required to be on the label. I needed a company I could trust, one that would be committed not only to full disclosure standards, but also believed in creating a makeup line that accents and celebrates women and who they are, from the inside out. One of the core tenets my husband and I hold is that we desire in all that we do to treat others the way we would like to be treated. With that standard in mind BeeyoutifulSkin was created. What we’ve done is really pretty simple. It’s just minerals. And that’s all. No dyes, no fillers, no extras of anything. The variations of color are achieved when these minerals are baked at varying degrees of heat and then mixed and blended with care to create vibrant eye colors and precise foundation shades for a perfect match. One of the most surprising aspects of working with truly pure minerals was how long they last. I find myself saying all the time “A little goes a long way” and “You’ll be amazed at how little you need” and the women who use it frequently exclaim over how little is needed to accent and bring out their features, and even cover blemishes. It’s taken us months of hard work to be able to make this available. I am so very excited and grateful to be able to wholeheartedly endorse it and make it available to fellow purists who like me may have struggled for years trying to find cosmetics they could use or recommend with a clear conscience. Thank you for taking the time to read through this catalog. In it you will find photos and descriptions of every single color we carry along with honest reviews of different women’s experiences in using these minerals and brushes. Speaking of brushes, they are a crucial part of the product line and make a world of difference in how well the makeup performs. These brushes are truly one of a kind and you have to feel the silky perfection to appreciate how incredible they are. These days, thanks to BeeyoutifulSkin, I’m able to wear makeup and kiss my kids without even a twinge of guilt. It’s makeup pure and safe enough for even their young, sensitive skin. My husband doesn’t mind a big smooch now and again either. I never thought I’d hear him say he actually likes me wearing makeup after all of his years of complaining about my war paint, but BeeyoutifulSkin minerals won him over. I invite you to try it for yourself and please let me know if you have any questions. 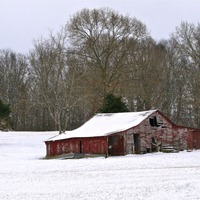 It’s finally official: Winter is in full force here in Tennessee. It may arrive a little later than in Minnesota and Michigan, but temperatures in the teens and single digits are still cold wherever they hit. This is the only time of year I concede to wearing socks around the house. Even so, my feet still become blocks of ice according to my husband, Steve. He’s the resident expert on my foot temperature since he’s the one who finally manages to warm up said blocks of ice when we go to bed (one of the many fine uses for a husband—I really love that man!) It still baffles me how someone as effortlessly skinny as he is and someone as effortlessly chubby as I am can have such opposite body thermostats. I want a refund on my fat—the guaranteed extra insulation factor doesn’t seem to work at all. If you’re life me, you’ve made it through the holidays with just a few dietary regrets under your belt (okay, maybe more than just a few—a lot?) Although I’ve successfully stuck to the gluten-free diet necessitated by my thyroid problem, I’ve fudged (literally) on the no-sugar-no-sweets-no-caffeine guidelines. I comforted my brief spurts of guilty conscience with “That’s what January and New Years Resolutions are for!” Although I’ve never been one to jump whole hog (so to speak) on the New Year’s weight loss or eat-healthier band wagon, I’m going to give it a try in 2011. It can’t hurt, and sticking to strict food rules in January will certainly be a lot easier without the temptations of holiday get-togethers lurking around every corner. Speaking of the holidays, ours was wonderful. We decked out a Charlie Brown-esque Christmas tree with miles of popcorn string and paper chains. Although my eyes prefer the aesthetics of white lights, the Doodles was enthralled with the liberal winding of colored lights we employed at Christmas. Family and friends came over to help decorate the tree and play what has become our traditional game of Dutch Blitz. If you’ve never played you should order a deck (some friends of ours sell it online at http://www.creativecountryliving.com ). Very family-friendly, group-friendly, and people of all ages can play. Part of the post-holiday challenge for me is how long winter seems to drag on after the December festivities. I get an itch for spring about three weeks into January and emotionally done with all the miserable coldness and drab, dreary days. And nope, not even another cup of hot tea and a snuggle by the fireplace with fix it. This year, though, I have a battle plan. I’m going to combat my spring longings by attempting (yet again) to germinate some seeds indoors for an early spring garden. Also, our front porch is outfitted with hooks for hanging baskets (which I’ve yet to use in four years), and I shall attempt some hanging baskets of herbs. Hopefully my herbs-in-fern-baskets will do better than my poor herb garden of the past couple years. While I admit to some neglect (okay, a lot of neglect), my biggest problem has been the rogue mint plants that seem determined to take over the yard, starting with the herb garden. At least in baskets, the less aggressive herbs will have a fighting chance—and in baskets, the less aggressive herbs will have a fighting chance—and maybe they won’t over-bake like they did last year in my raised beds. Other than hoping a few bright green seedlings tide me over till spring, I’m continuing to take lots of Vitamin D3. My health has stabilized appreciably since I started steady supplementation of this utterly marvelous vitamin. I can’t sing its praises enough. It’s especially crucial in the heart of winter when exposure to the sun is limited—whether by cloudy skies or heavy clothes that leave little skin to absorb sunlight and convert the rays into Vitamin D.
In Beeyoutiful news: We’re working to get Geranium, Clary Sage, and Ylang Ylang Essential Oils added to our line. We hope to have them available within a few weeks of this catalog arriving at your doorstep. To let you know exactly when, we’ll send e-mail notices to everyone who’s signed up for our monthly newsletter. So if you haven’t already signed up, now would be a good time! It’s the very best way to get all the latest Beeyoutiful news, to find out about sales, and to receive special coupons or offers. (Get your free newsletter subscription at www.Beeyoutiful.com. 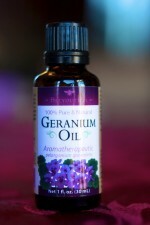 I’m SUPER excited about Geranium Essential Oil. This oil is a gift to womankind—and because of the mood-soothing wonders it works, a gift to husbands, too, Steve is quick to add. If you’ve ever struggled with that “time of the month” we love to give Eve credit for—especially with moodiness or an extra sharp tongue—you need this oil! We’ll be posting some recipes on how to use it when we get it on our shelves, so keep a look-out. It’s been such a helpful little tool, Steve assures me that if I can’t convince women of the effectiveness of Geranium, he’d like to talk to you. He’s sure any married man will want this in the family’s arsenal of EWMS (Emergency Wife Management Supplies). We may have to let him write his own “for women only” article about this in the next catalog or newsletter. Speaking of Steve and his excitement over certain products, we appreciate your overwhelming response to his special diffuser sale before Christmas. Many of you now have diffusers sitting in your homes that you might not have been able to afford otherwise. Look on page 25 through 28 of this catalog for oil blends to try. And, if you haven’t yet, consider getting the Complete Book of Essential Oils and Aromatherapy on page 12 of this catalog. It’s an incredibly practical resource for anybody who wants to learn more about how to use essential oils. From down to earth cleaning recipes to what blend of oils to use for chicken pox to mixing your own perfume blend, this great book has it all. With more than 600 recipes, I have yet to exhaust the book as a resource after almost two years of using it at least every other week. A highlight of our 2010 was attending the Weston A. Price Foundation Conference as a vendor. Held in King of Prussia, Pennsylvania, the conference was Beeyoutiful’s first time to have an exhibitor table. It was exciting for Steve an dme to meet some of our long-time customers face to face and meet many new customers as well, and it was gratifying to hear stories firsthand of how some of our products have helped people. News like that is a resfreshing reminder of why we do what we do. We’re planning to attend several more conferences in 2011 and will keep the www.facebook.com/beeyoutiful page updated with dates and locations so if any of you are close enough, you can stop by our exhibit. We would love to meet you! Three of my favorite ladies in the whole world are the featured writers in this catalog, and I hope you enjoy and learn as much from them as I have. Please pay special attention to Nancy Webster’s contribution on gut health. If you’ve never recognized the connection between what goes on in the digestive tract and every other aspect of your health—including mental health!—her article may offer some of the most life-changing information you’ll discover this year. I hope you’re staying warm and cozy and that you enjoy reading this issue of Beeyoutiful’s info-catalog. I feel as though our world has been turned upside down, shaken around, and plopped back upright since I wrote the letter for our Spring 2010 Catalog. I still feel a bit dizzy from the rapid sequence of events in our already eventful lives. Before he left, Steve went above and beyond the call of duty to make sure everything was in good working order in the business and in our personal lives. Yet my main concern was for him. I’ll confess to having more than a few moments of anxiety over his safety. After all, Africa is very far away and offers some of the world’s scariest diseases, most dangerous animals, rugged terrain, and less-than-stable political climates. If anybody had told me we would end up having more adventures here in Tennessee than he did in Africa I would have laughed! But the joke would have been on me. A few days after Steve left, I woke with a start one morning to the pale face of our basement tenant looking down at me. “The basement is flooding!” she said, and I bolted out of bed. For the next two days, friends and family helped battle the water pouring into our basement. Although I realized it had been raining—a lot!—I had no clue what a tsunami had poured from the sky on Tennessee’s corner of the world. We worked night and day to keep the water low enough so it wouldn’t ruin sheetrock or mess with electrical wiring. Around day two, the blinders that had me so focused on my own water problems were blown away by the arrival of my soaking wet mother-in-law. She had been rescued from rising waters in her yard by caring neighbors who got her out before the water could trap her inside her house. It finally dawned on me that we were dealing with an actual flood (although I still didn’t appreciate the stunning proportions of the situation), not just a problem with our particular basement. One moral of this story could be that if your basement floods, it might be a good idea to check the news to find out if the rest of your area is having water problems as well! As hours turned into days, our home ended up looking like a refugee camp. We had seven adults and our Noelle girl stranded at our house by floodwaters. My courageous brother, John, and his dually truck saved the day innumerable times, plowing through rising waters to obtain necessities. One wet night in the basement, bailing water gave us something to do while we hid from tornadoes that also blasted our area during the flood. In an ironic twist, Noelle stayed dry in the bathtub, where she slept in a nest of pillows while the rest of us made do, propped on couches and waking periodically to do water patrol. The power went off that night and stayed off for five days and nights. 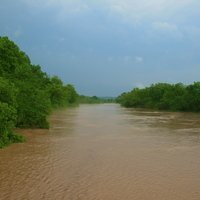 Then, once the rain stopped, the real flooding began as the run-off dumped into streams and rivers, raising them above the 500-year flood levels in many areas. Still, we made it to a local store and stocked up on necessities like candles, easy-to-prepare junk food (emergency rations, right? ), and bottled water. Our city’s drinking water was contaminated for weeks since both the power plant and water purification plant were under water. Although the laminate flooring in our basement was ruined, we count ourselves among the fortunate.In nearby Nashville, 44,000 homes were destroyed, and within just a mile or two of our house, many homes were 100 percent ruined by floodwaters. 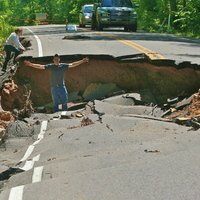 Roads washed away. And countless properties, fences, shops, and barns were decimated. Living through a disaster big enough to earn the FEMA stamp of approval has been amazing. I’m incredibly grateful for the spirit of people in this part of Tennessee. Whereas many natural disasters are made worse by the horror stories of chaos, pillaging, gang rule, and out of control violence, nothing of the kind happened here. Neighbors helped neighbors. People risked their property and, in some instances, their own safety to save or aid others. 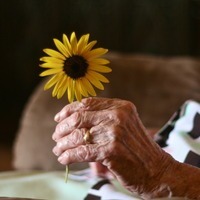 Selfless giving of time, resources, energy, and care was the rule of the day. Neighbors rotated the use of one generator a few hours at a time so all their food could be saved. Another drove his truck through deep water to help stranded friends. Someone else risked flooded roads to help stop water from pouring into the home of an elderly couple. A man brought extra ice to his neighbors just in case they could use it to save their refrigerated food. A lady with a flood-damaged home offered clothes to anyone who was worse off and lost everything. Two men whose own homes were under water offered to drive down a flooded road to find the missing grandmother of strangers. To say we welcomed Steve’s return is an understatement as big as the flood itself. Noelle and I engulfed him and didn’t let go for most of the day. By contrast to our time in the wild world of Tennessee, he had a safe and comparatively laid back couple of weeks in Africa. One of the highlights for him was looking out the window of his hut to see an elephant munching about eight feet from his window. Life here has been slowly returning to normal. More roads are being repaired so we can use regular routes again. But driving by condemned and abandoned homes is a stark reminder of how many people lost everything. Most did not have flood insurance (no one will insure against floods that “can’t happen”) and are dependent upon family and friends to rebuild their lives. Please pray for their long-term healing and recovery and that the still-acute needs of many will be met. We’re thankful our shipping facility and products sustained no damage. 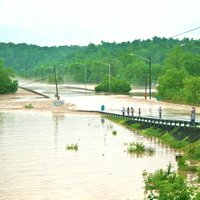 And we’re especially grateful our friends and family members survived this disaster. We’re likewise thankful for customers and friends who have been so kind and caring through this entire experience. And finally: A warm-weather catalog letter just wouldn’t be complete without an update on my garden. I’m thrilled to report that my early garden miraculously did not wash away in the flood. Those little plants must have dug their roots in and hung on tight because they all survived—every single one! An explosion of growth has resulted from the rain, and it looks like we just might have the best summer garden ever. Very thankful for that as well. Enjoy your family this summer. Have fun in the sun and take advantage of as much natural, free vitamin D as you can! If you get a little over-toasted in the quest for D, remember that Miracle Salve and HairShine are sunburn healers. 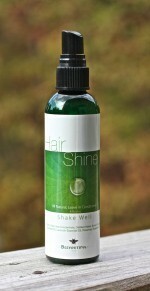 Spritz with HairShine, allow its cooling effect to begin, and then slather with Miracle Salve. After the Miracle has absorbed, spritz again liberally with HairShine. Continue alternating the two until the burn heals. Although we marshmallow people have suffered some pretty severe sunburns around here, peeling is a thing of the past and discomfort disappears almost immediately when we use these two products together. Thank you for being part of our Beeyoutiful family!